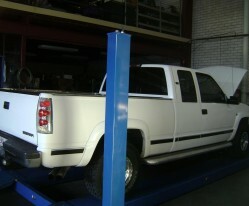 With our 6.5 tonne lift we service and repair Dodge, Chev and Ford light trucks. 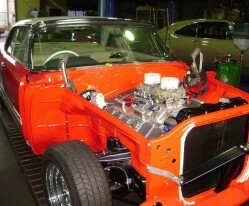 Monaro sports a tweaked LS3 6.2 litre and BGA prepared 4L65E. 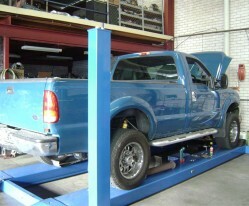 Transmission control is by the ever reliable Compushift CSII unit. 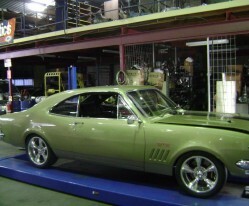 With near 500hp at the wheels this Monaro classic not only looks good, it performs! 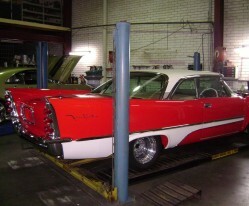 Beautiful 1957 De Soto FireFlite being restored by Bob Hamilton. Powered by a 2 x four barrel carbureted Chrysler 392 Hemi mated to an Aluminium TorqueFlite 727 transmission. 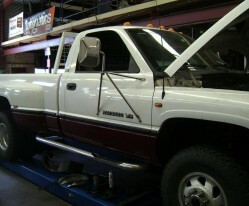 Bob overcame challenges to keep the original push button gear selector mechanism when doing the RHD conversion.